LiveGrade Pro comes with support for the Flanders Scientific FSI DM monitor series. 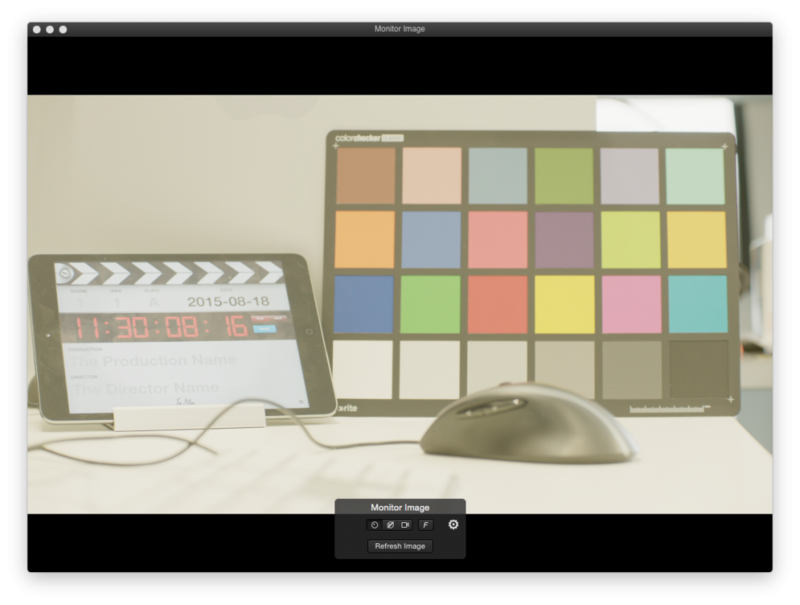 With these features you can send looks as 3D LUT to be applied on the image in the monitor by using a network connection (LAN and WiFi depending your setup). Additionally, it’s possible to get frame grabs of the graded image shown in the FSI DM series monitor. 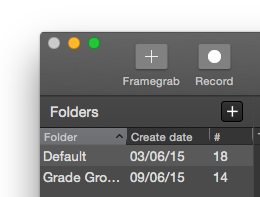 This way you can include the graded frame grab to the Look Reports. Furthermore, you use the FSI DM series monitor’s image source as an image reference on the Image Viewer, allowing the fine tuning of the looks. This article is representatively tailored to the Flanders Scientific DM 250. A list of all the FSI DM monitors supported can be found in the Knowledge Base article All Supported Devices in LiveGrade Pro. 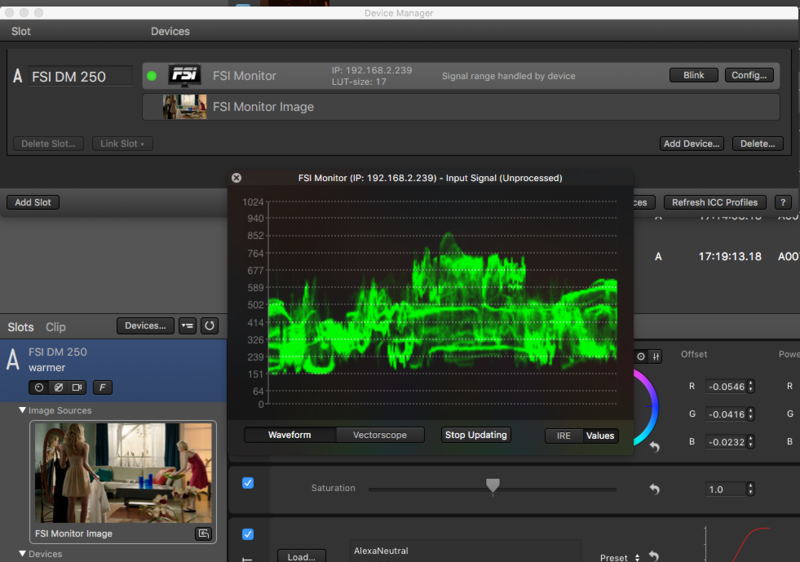 In order to receive look information from LiveGrade Pro the FSI DM monitor needs to have a working network connection with the Mac where LiveGrade is running on. 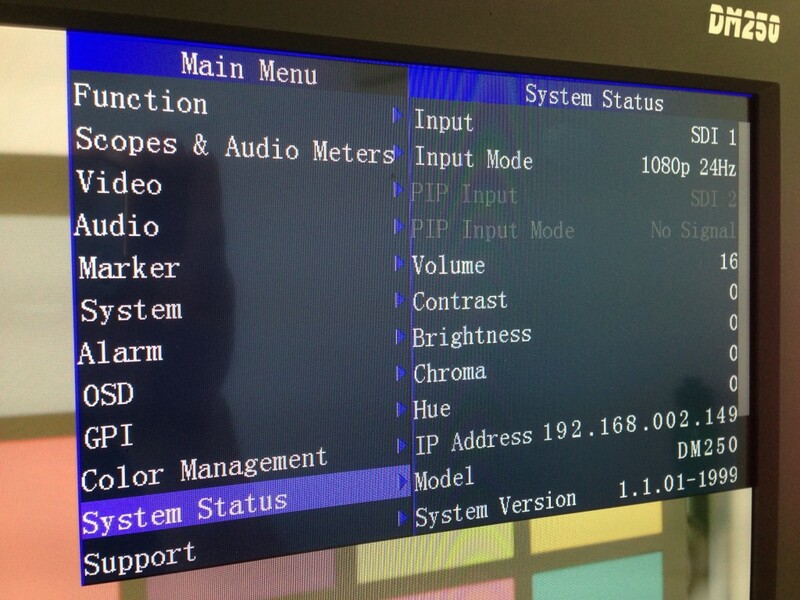 Once the network connection has been established, you can check the IP address of the monitor. Once a correct connection is established, launch LiveGrade and you can proceed to add the FSI DM monitor as a device. In order to do that, you can choose “Slots” in the main menu and then “Add Device”. Alternatively, you can add the device through the Device Manager. 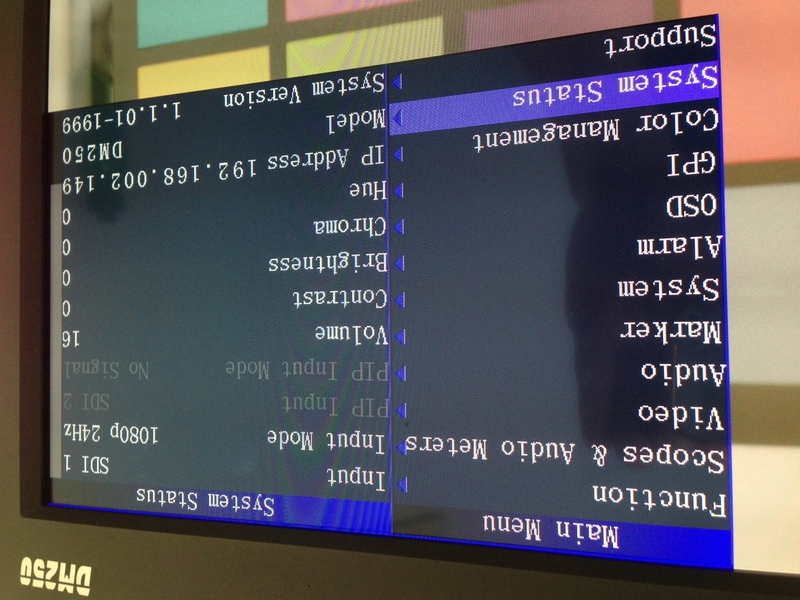 In the main LiveGrade window, the FSI DM250 is now displayed in the corresponding grading slot as a device, as well as the Monitor Image as an Image Source of the slot. You can open the Image Viewer to display the image by double clicking on the «Monitor Image» thumbnail in the slot. 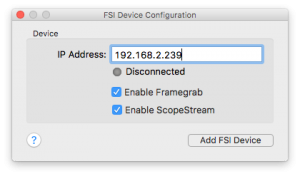 You can generally check if the FSI DM monitor is properly connected by going to the Device Manager. A green indicator shows a positive connection status. You can use the «Blink» button to send a red-green-blue screen flash sequence to check if the FSI DM monirot is ready for the use with LiveGrade. You can take frame grabs from the video signal by clicking on the “Framegrab” button. This takes a frame from the video stream and saves it on the Clip Library with the associated grade for further reference. More about this setup in use can be seen in FSI’s video FSI DM250 OLED and Pomfort Live Grade Pro Integration [via Flanders Scientific, Inc.].